Eighty-two percent of dogs travel in the car on a regular basis and on vacations. 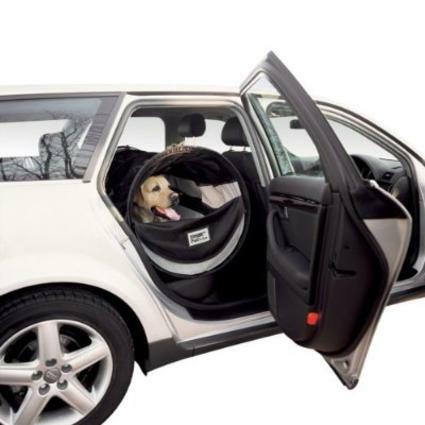 Fifty percent of dog owners consider their pet's comfort when buying a car. But how many pet owners consider their pet's safety when buying a car? Bark Buckle UP™ is an organization that collects statistics on pet travel and pet safety. Its originator, Christina Selter, works with police, fire, and hospital first responders to advise them on rescue techniques for pets. And Selter travels around the country to speak to pet owners about the dangers of traveling with un-secured pets. There is interesting information dotted throughout the Bark Buckle Up website, among which I learned about the impact of a 60 pound dog in a traffic accident: "When driving 35 mph, a 60-pound unrestrained dog can cause an impact of 2,700 pounds, slamming into a car seat, windshield, or passenger." 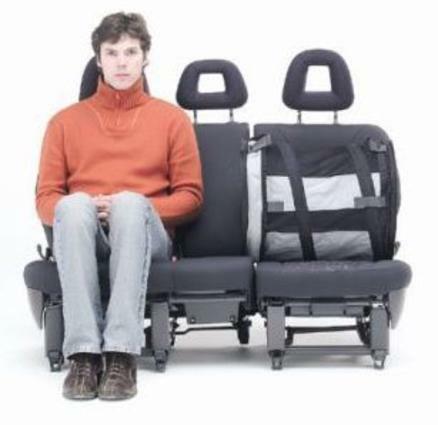 After that, Bark Buckle Up points out a very interesting point that makes perfect sense, but most people don't consider: The duty of the first responder is to insure the safety and well-being of the human passengers in the car. If a dog or cat survives a crash, that pet is not the priority of the responder and the responder may not even be trained in pet rescue. That's two more reasons to buckle up your pet. Many automobile manufacturers are installing pet safety features in their cars, for a price. If you're not getting a new car and/or don't want to pay for the fancy auto logos on your pet's safety equipment, Bark Buckle UP has a list of car safety devices for pets that it recommends. 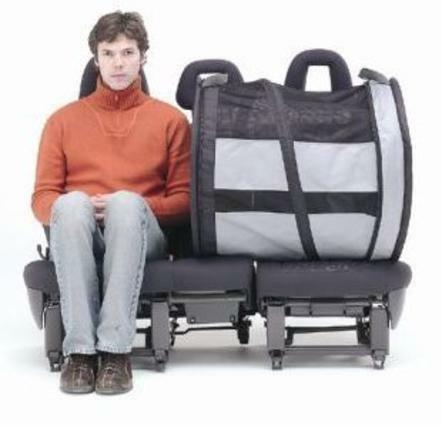 Argo designs its models of Petascopes to wheel and carry on board airplanes, cars, and trains. 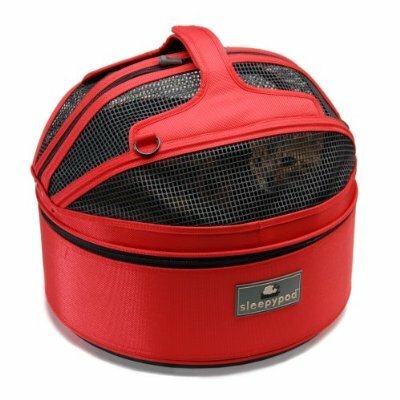 Argo's mesh windows provide plenty of air and visibility for your pet and the carriers are well padded for their comfort and safety. 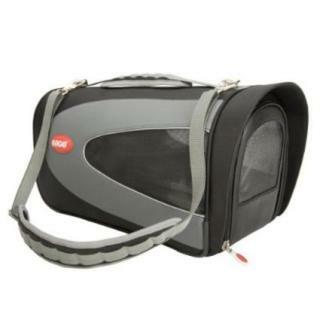 Each of the carriers have a flat bottom, important for the pet's stability. 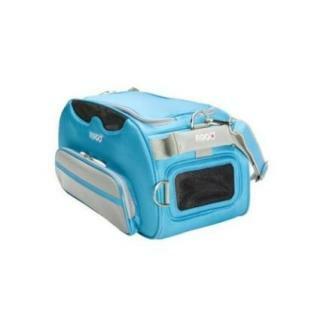 This line is make mostly for small to medium dogs, and they come in a variety of colors. Pet Car Safety Device 1. Pet Car Safety Device 2. Pet Car Safety Device 3. 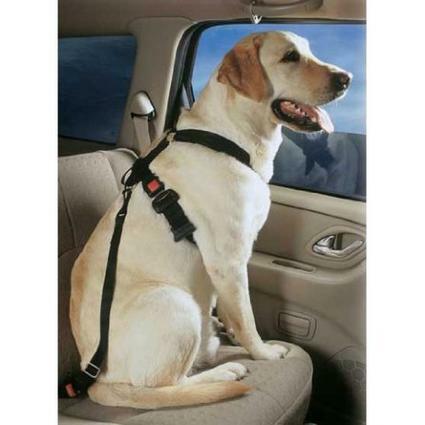 Pet Car Safety Device 4. The PetBuckle is a strong harness intended for dogs over 10 pounds and chest diameters of at least 14 inches. The PetBuckle Travel Kit comes with a tether, seat belt adapter, PetBuckle seat belt harness and a storage bag for convenient storage under the seat or in the glove box. Pet Car Safety Device 5. This leash comes in 3' and 6' lengths. I would recommend using the 3' length because it restricts your dog's movement more, but it may not be preferable as a walking lead. The closer he is to the seat belt the less likely he will get hurt in most accidents. 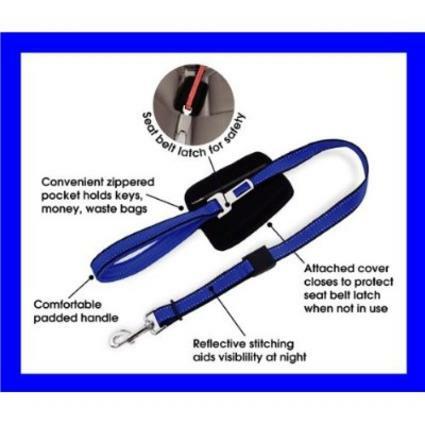 The leash comes with a universal seat belt latch and zippered pocket for personal items. 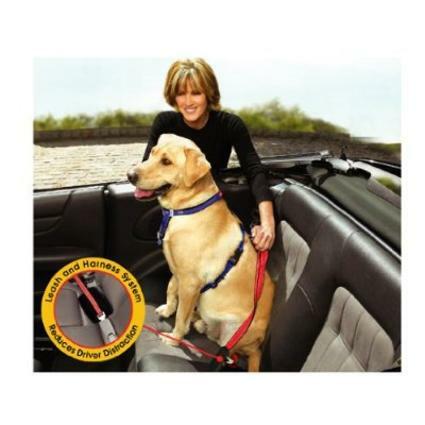 The Bamboo Quick Control 6-Foot Leash With Seat Belt Latch is available in several colors at Amazon.com. The 3-Foot Leash is available here. Pet Car Safety Device 6. The Petego Pet Tubes, available in 2 sizes, surrounds your pets while securely fastening them to the car seats. But the Pet Tube is only intended for the car. It's quite portable and easy to carry, but not with your pet inside. Pet Tube is made of heavy duty fabric, is liquid-proof and scratch-proof. The small Pet Tube is approximately 17' with a 17" diameter. The large Pet Tube is approximately 27" long with a 25" diameter, but it can be adjusted shorter to provide more seat space if necessary. Pet Car Safety Device 7. 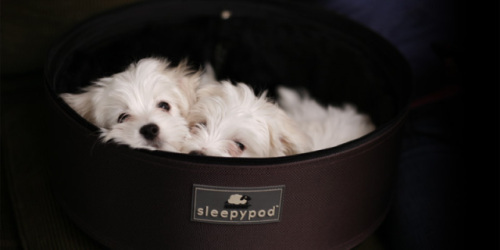 The Sleepypod is a plush and cozy little bed for pets up to 15 pounds. 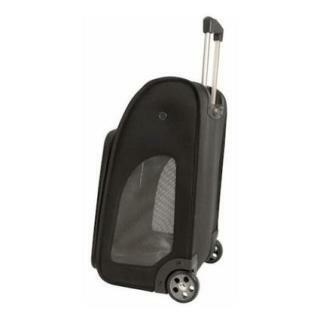 It is made with luggage grade nylon with "ultra plush" polyester interior. The padded strap makes the bag comfy for you to carry. The Sleepypod comes in several pretty and stylish colors you can see on Amazon.com. 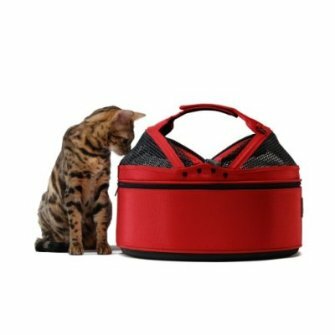 The Mini Sleepypod is also available at Amazon and that is made to hold pets up to 7 pounds. 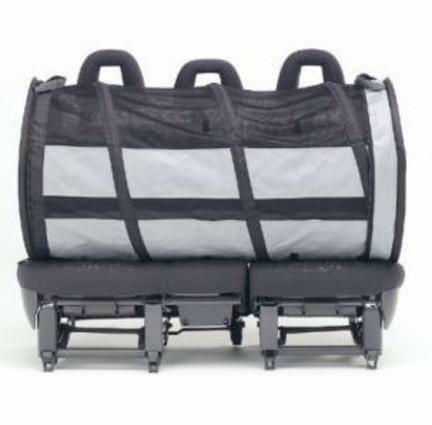 The Sleepypod fits safely onto a rear seat, attaching to your car's seat belt, as seen in this short YouTube video. So, buckle-up and keep your pet buckled up in the back seat! Want To Submerge Your Tea In A Yellow Submarine? Great ideas! My dogs ride in regular airline approved car carriers. For one of my dogs, we bought a seatbelt, ony to have it eaten right through after a couple of days. So now, we're better of just securing the carriers with seatbelts..although I might consider a more padded version like the ones seen her.